Call the Holloway Home Group at 318.572.6551 or email us at hollowayhomegroup@gmail.com! Search for Homes for Sale in Acadiana Place! Acadiana Place Home for Sale!! This home is $275,000 and is 2336 square feet. It has 4 bedrooms and 2 full baths. There are so many great features about this home, 2 car garage, corian counter tops, and lots of windows letting in natural lighting. There is a breakfast bar and a breakfast room with a bay window. Also there is a large deck right outside the back door. Don’t miss out on this immaculate Acadiana Place home for sale!!! Check out this virtual tour so you can get a feel for this amazing home. Let us know what you think today!! Call the Holloway Home Group at 318.572.6551 or email us at hollowayhomegroup@gmail.com! Search for Homes for sale in Broadmoor! New Listing!! For sale in Broadmoor. This home is priced right at $119,900 and is 1350 square feet. It has ceramic flooring throughout, large bedrooms, and large back yard. There are many features in this home that you simply must go see! Broadmoor is very close to all shops and food on Youree Dr, so convenient for daily outings. This home is very cozy and just enough room for the family to enjoy. It has 3 bedrooms and 1 full bath. There is a very nice shade tree out front, great for reading, picnics, or family games. The Broadmoor area offers great schooling and also a large variety of churches to attend. Come check out this Broadmoor home for sale and see if it satisfies your taste!! Search Homes for Sale in Broadmoor. Long Lake Estates Gained a Resident!! On Friday Oct. 18 one of the Ellerbe Rd subdivisions gained a new resident. Holloway Home Group sold another lakefront home. This home was priced right at $330,000, which always helps home sell. Erin Holloway puts her dedication into selling and gets the job done! This transaction was assisted by M&M Title and Integra Lending Group, we Thank them for helping make this go smoothly. 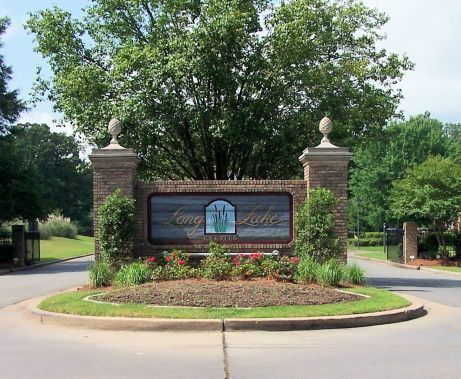 Long Lake Estates is located off of Ellerbe Rd. in southeast Shreveport. This is a lakefront gated community near Pierremont Mall. This particular lakefront home is 3105 sq ft and just so beautiful on the inside as well as outside. It is a 2 story home with 4 bedrooms and 2.5 baths. The new home owners are very proud and happy about this buy! Holloway Home Group is happy and willing to do what it takes to get homes sold. Let us help you find your way! Search Shreveport homes for sale and let Holloway find your way! Kelli Massio helped assist in this closing from Fairway Mortgage the buyer had a VA Loan. Also the Seller paid all closing costs, 3% of selling price. This foreclosure property was purchased by the Koury’s at $207,000 and was appraised for $225,000. This was such a good deal, we are so glad we could be there for them for a second time! Ten years ago Erin met this wonderful family at the Pierre Bossier Mall, now they are on house number two and baby number two so a huge Congrats to the Kourys!!! Their new home is located in Southgate Estates in Bossier City. Southgate is connected to Barksdale Blvd, and very close and convenient to shops, food, and grocery stores. It is also very close to Jimmy Davis Bridge, and Arthur Teague Hwy for traveling. The CenturyLink Center is not even a mile away, and the Red River is close for some fun in the sun. Another known site that is very close is Barksdale Air Force Base. Most of the homes were built in the 70’s and 80’s and are very beautiful. Bossier City home was sold on Friday October 11 by Bobbie Hebeisen!! We are so proud of her once again! Even though our buyer’s husband was out of town during this transaction it still closed very quick and easy! We had some help from Barksdale Federal Credit Union and M&M Title, which we would like to Thank for all their help!! Working with you guys is a blessing and such an easy task. The Thompsons are so happy with their new Bossier home. We are thankful for the gift we received from the Thompsons from Edible Arrangements and just glad we could be there to get them into the home. Bossier City is a busy and upbeat place to live. Many beautiful features, many shops, and tons of entertainment goes on. Search Homes for sale in Bossier City to find your perfect home. Also don’t forget to Buy with Bobbie. Holloway Home Group is holding an Open House in Timberline Subdivision in Shreveport on Friday October 11, from 4:00pm to 6:00 pm. Come out and take a walk through this amazing home. There are so many things that you can’t see in pictures, it is always better in person. The address is 3935 Anne Lovelace Shreveport as shown below. Don’t miss this event!